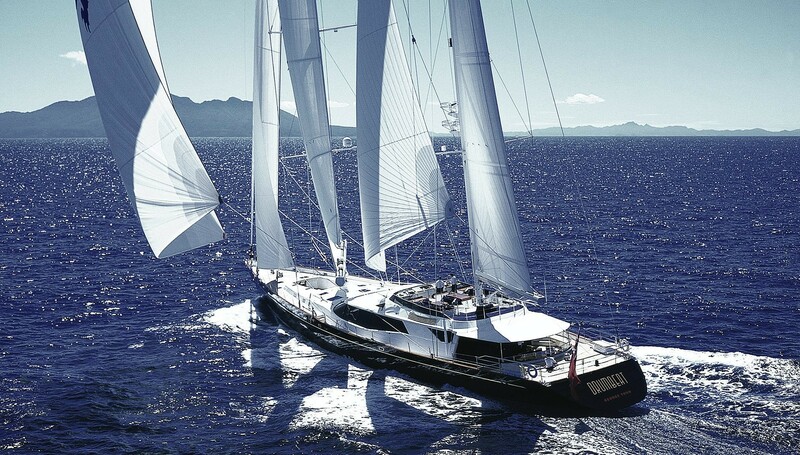 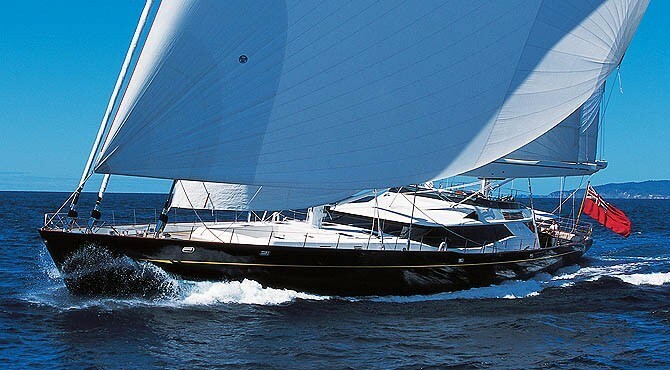 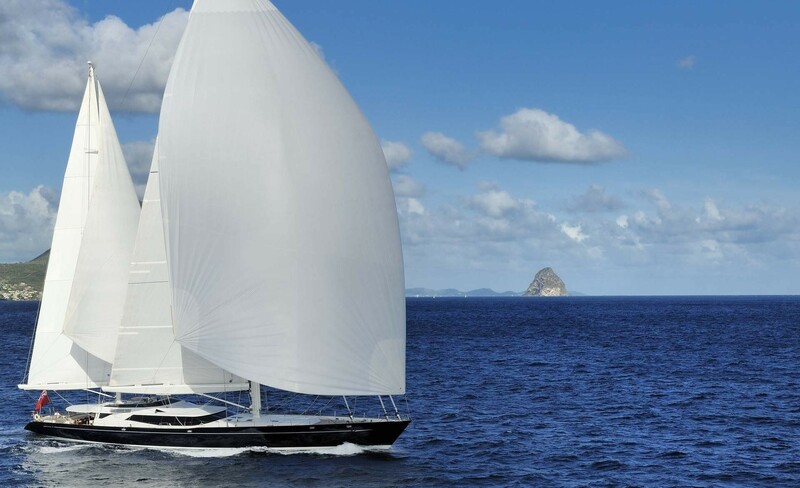 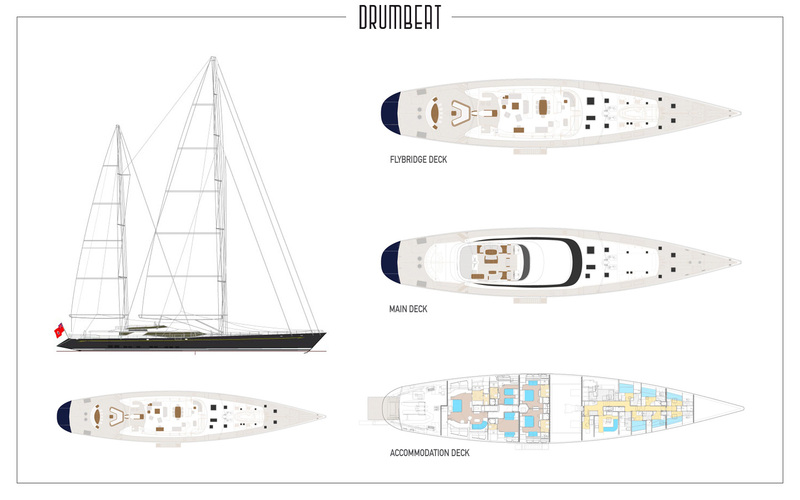 Luxury sailing yacht DRUMBEAT (ex Salperton) was designed by the renowned Dubois Naval Architects and built by Alloy Yachts. 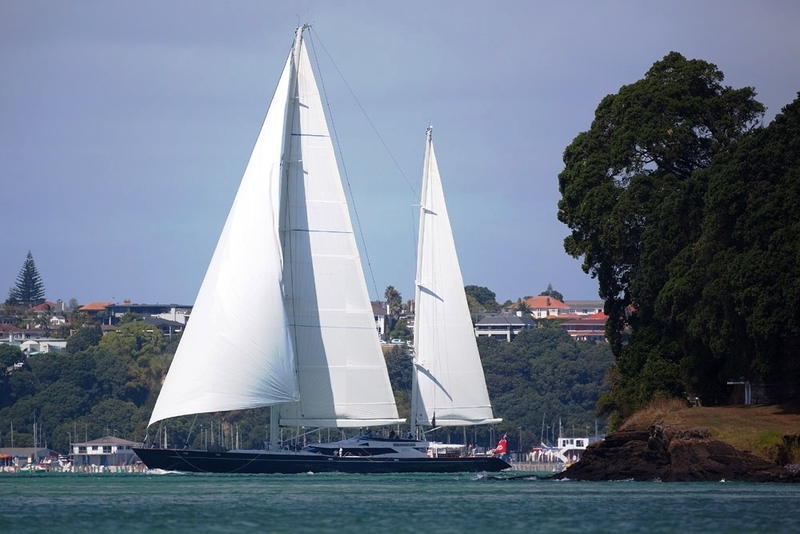 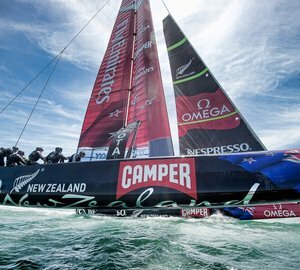 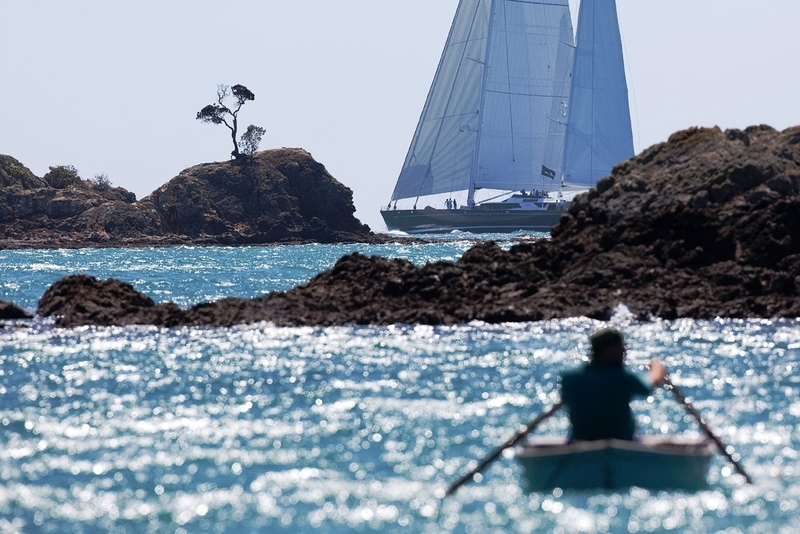 At 174' ‘Drumbeat’ is one of the largest pleasure craft ever built in New Zealand and one of the most magnificent luxury sailing yachts launched anywhere in 2002. 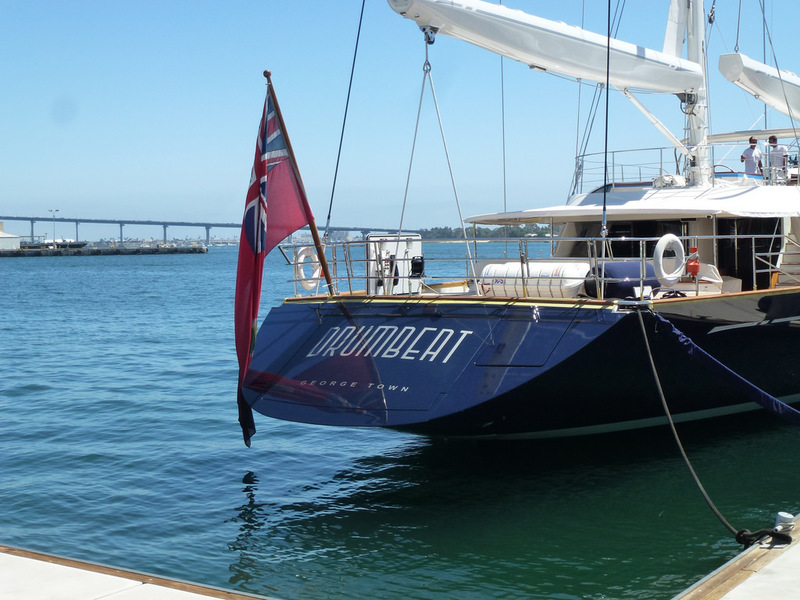 Drumbeat is a high-performance luxury ketch, which although able to provide exhilarating sailing speeds of over 15 knots, and much higher, she also offers excellent sailing comfort, seaworthiness, and space. 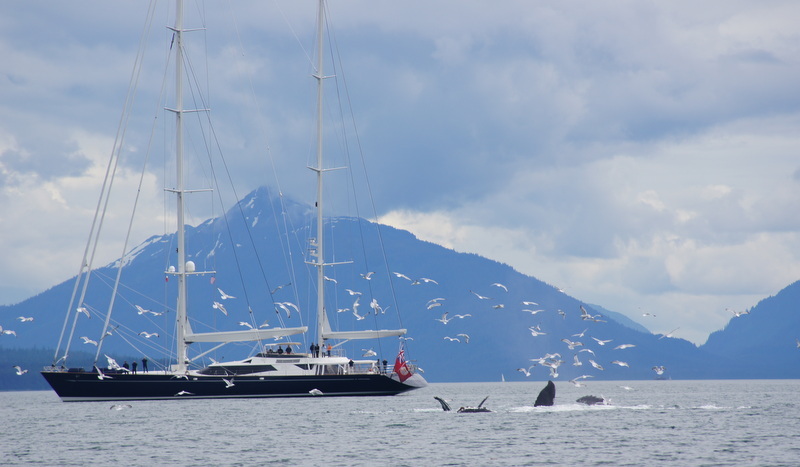 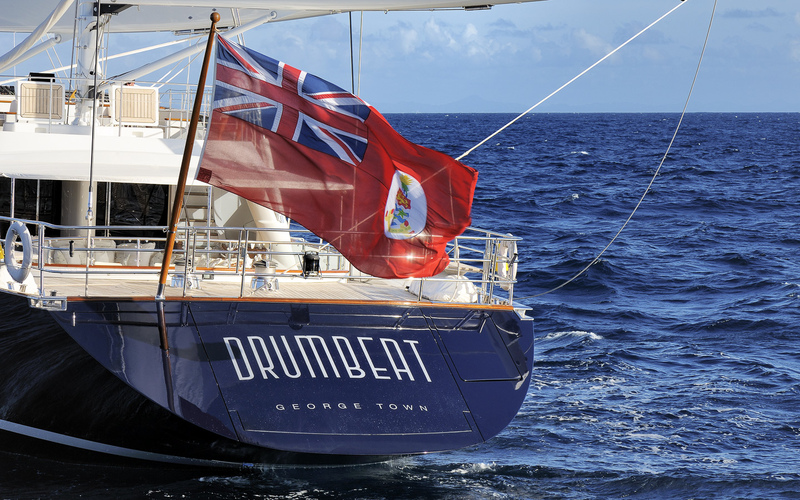 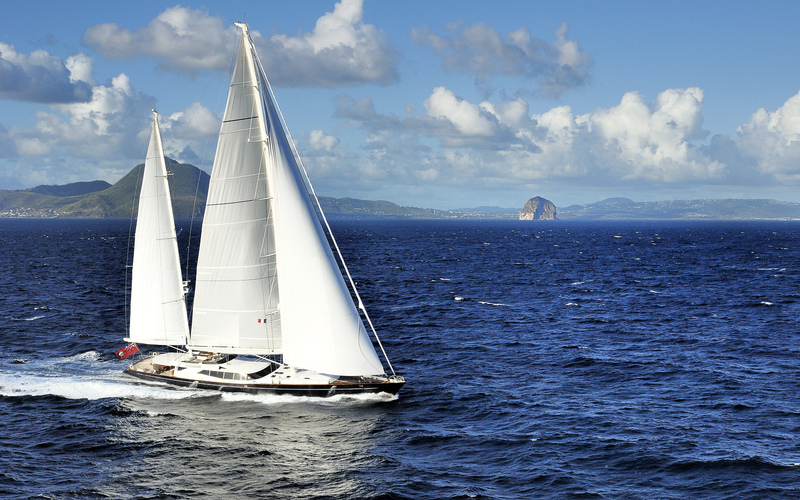 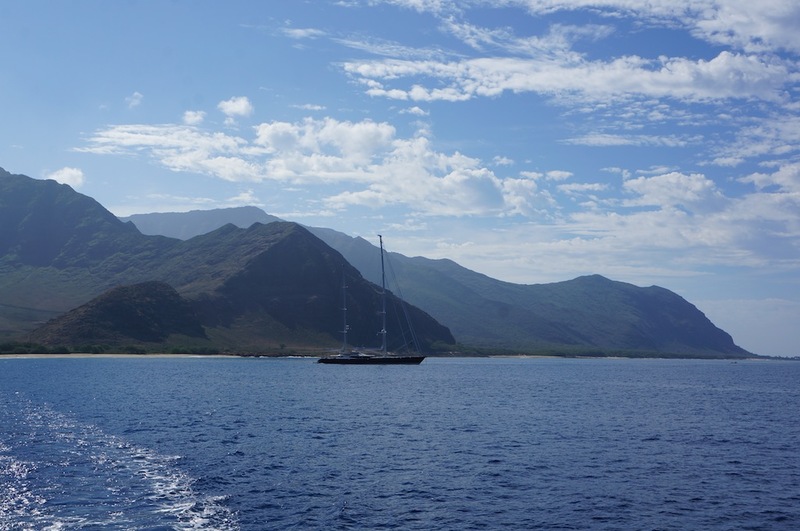 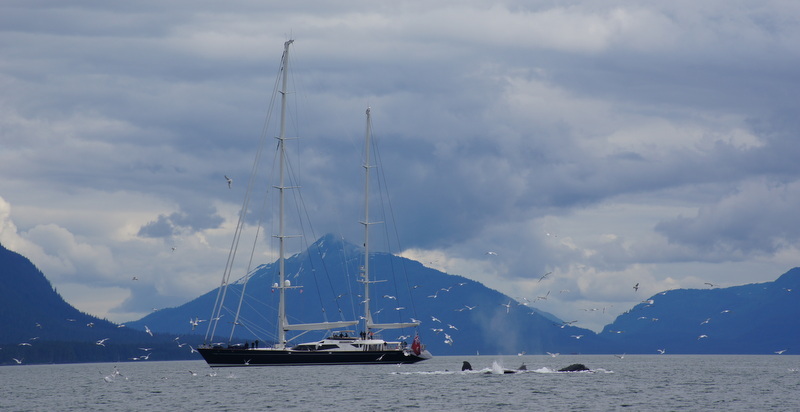 Drumbeat is on a world adventure and is available for charter in various exotic locations around the globe. 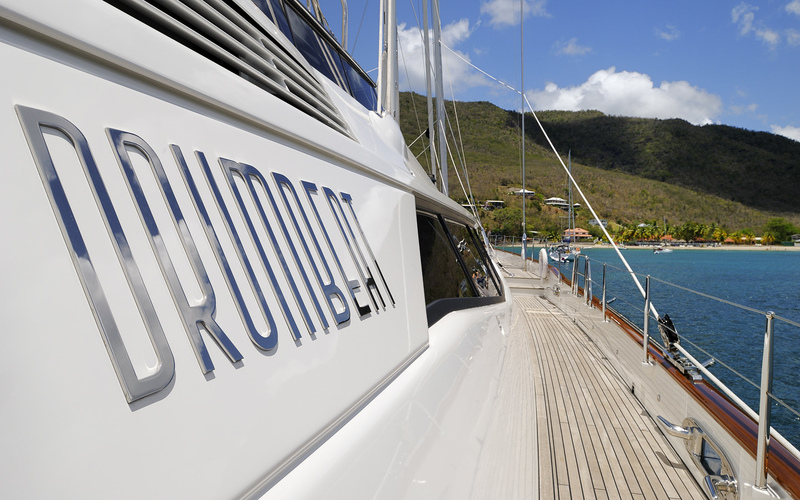 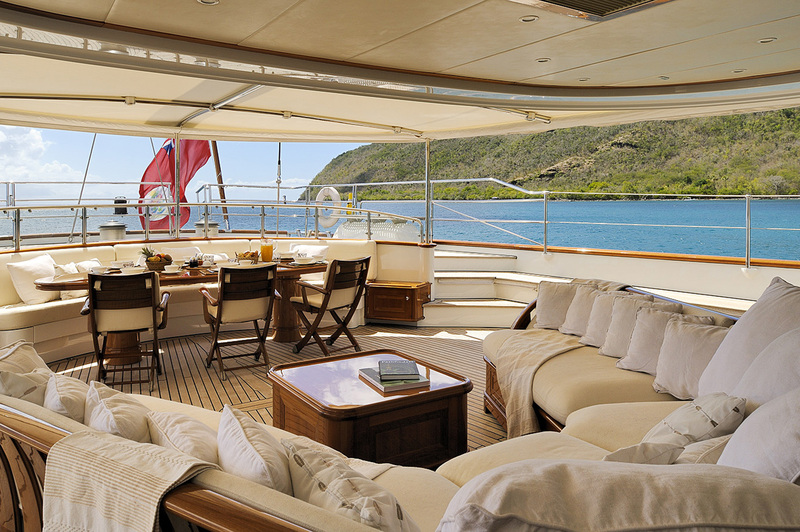 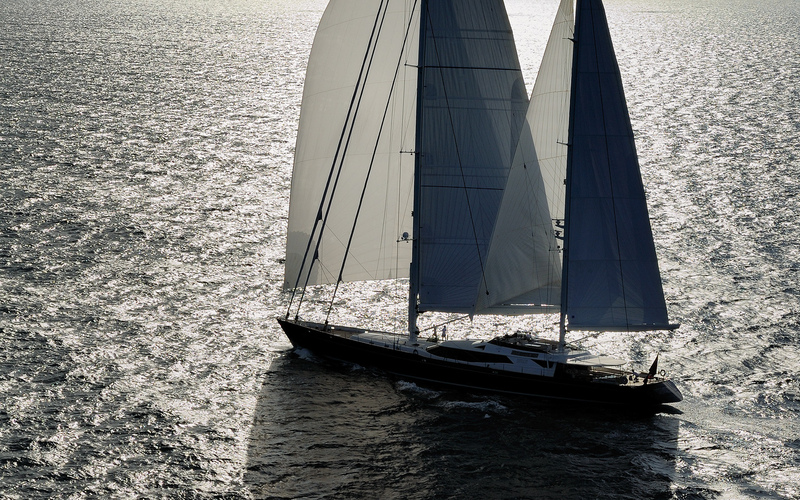 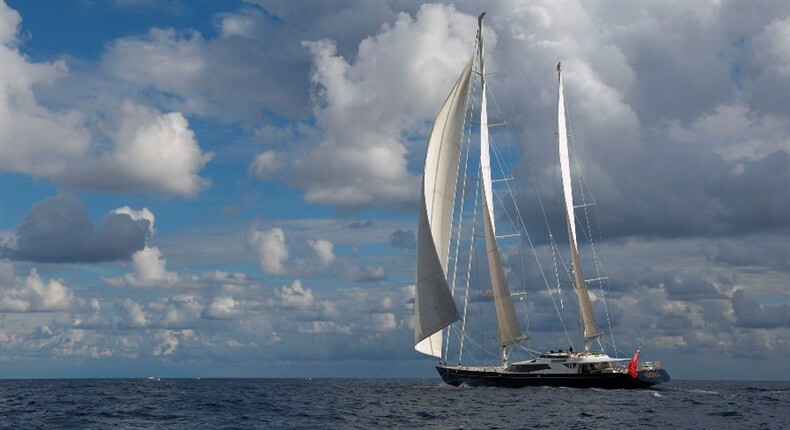 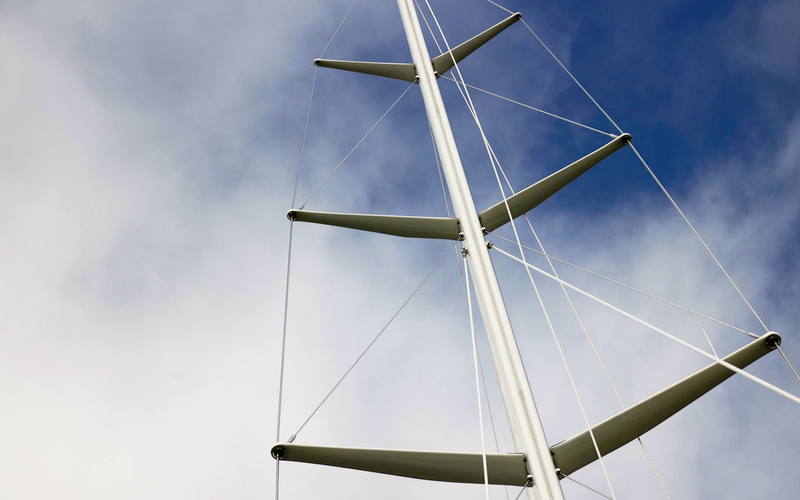 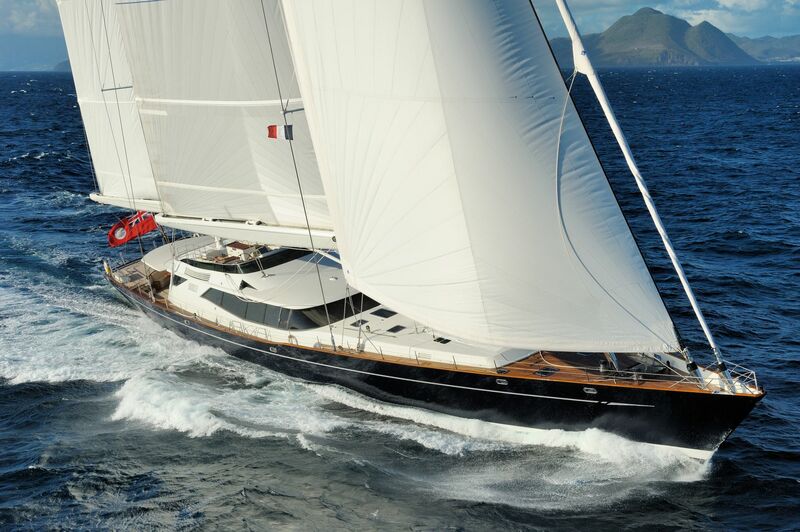 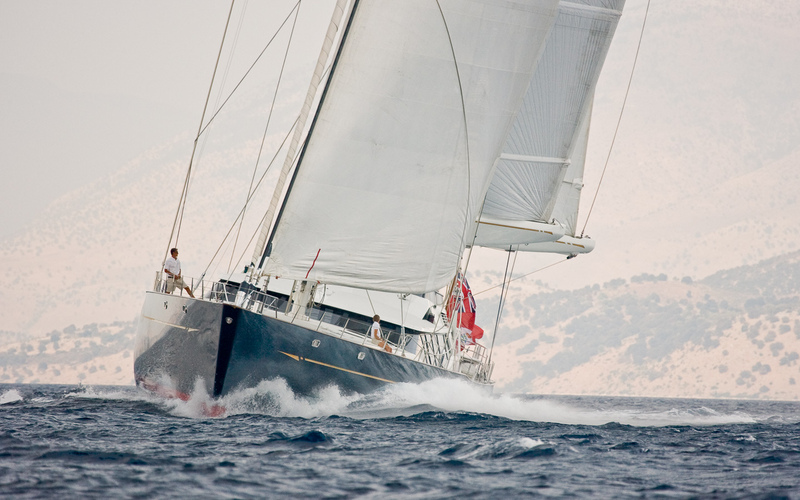 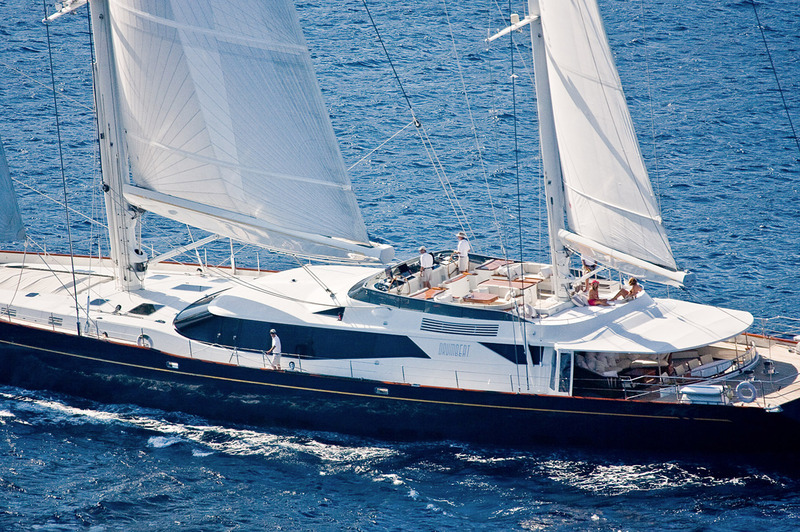 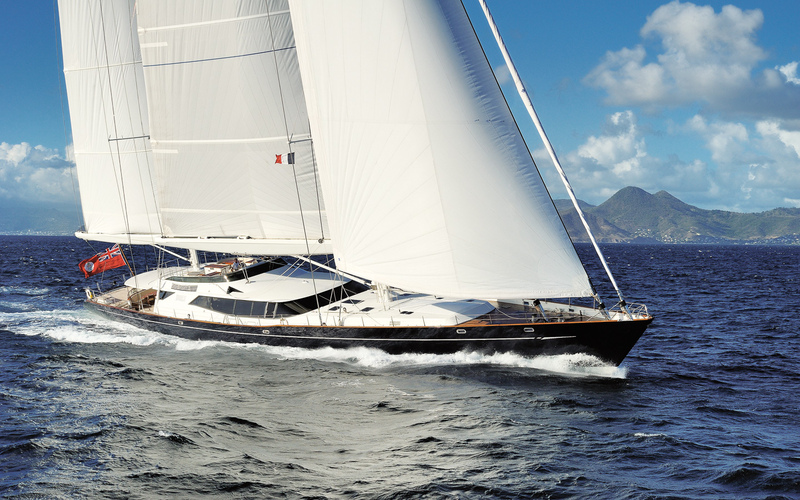 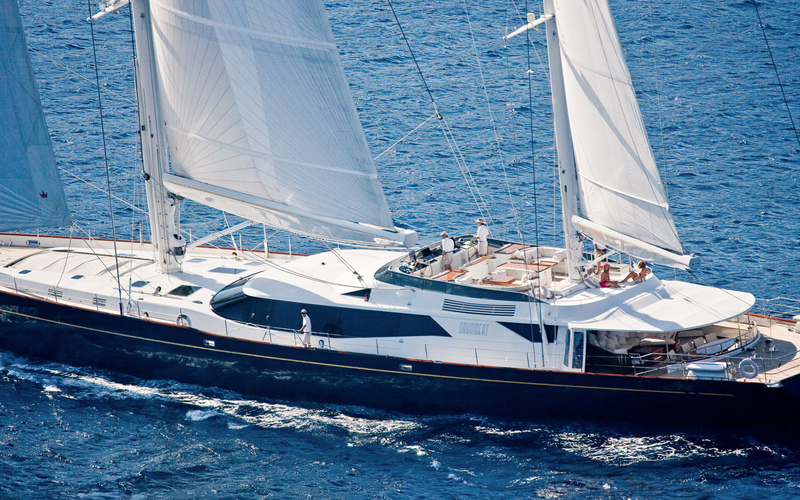 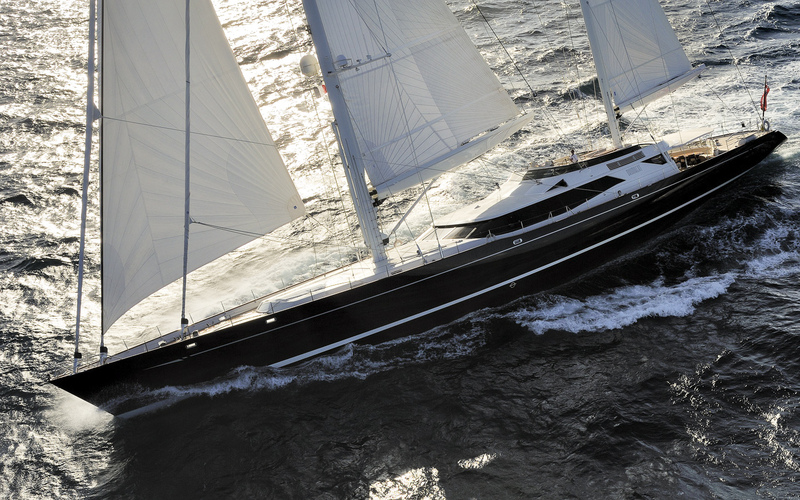 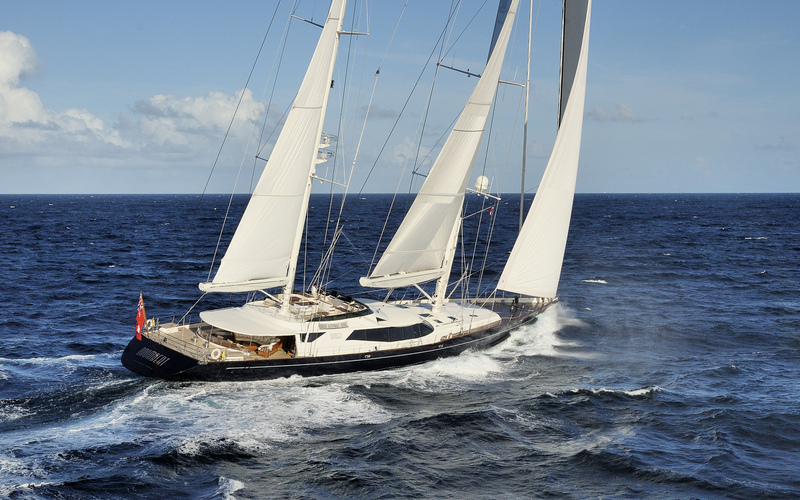 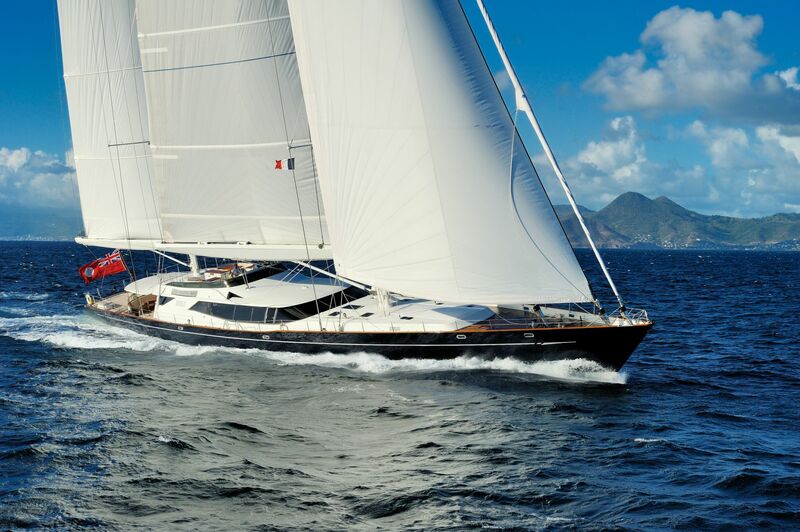 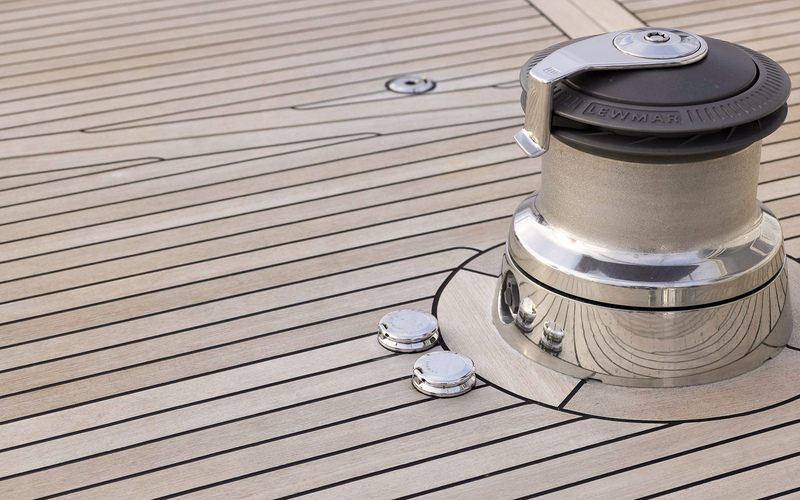 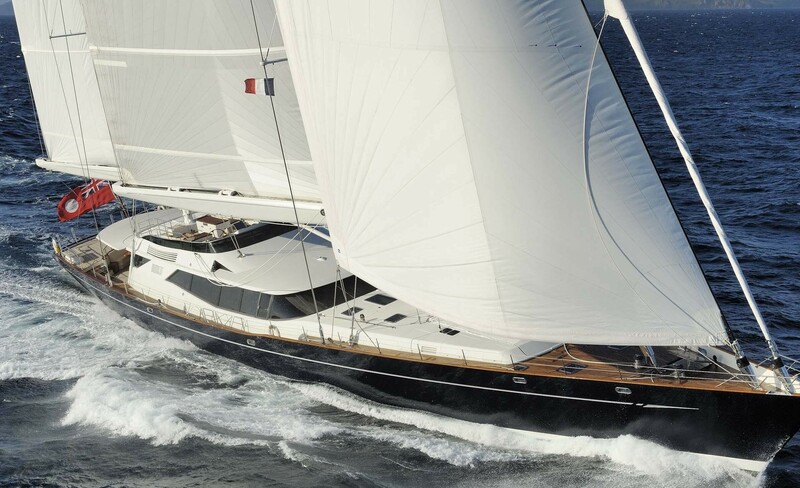 Sailing Yacht DRUMBEAT has completed a major interior refit in 2005/2014. 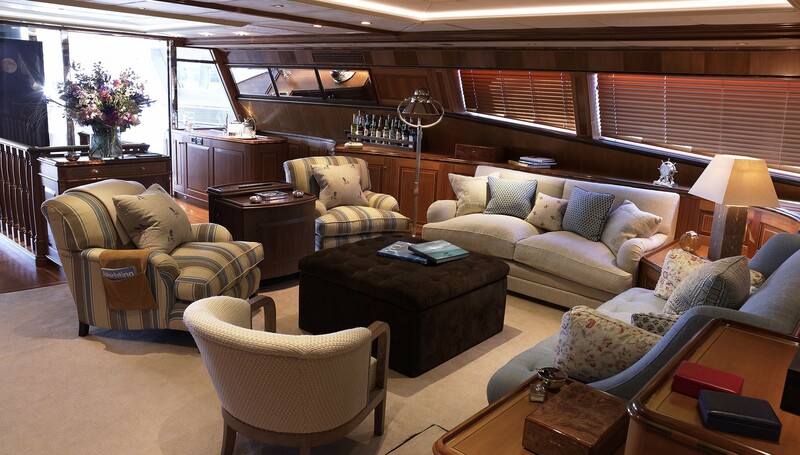 The yachts interior has been redesigned to reflect the simplicity and beauty of the lines of this head-turning sailing yacht. 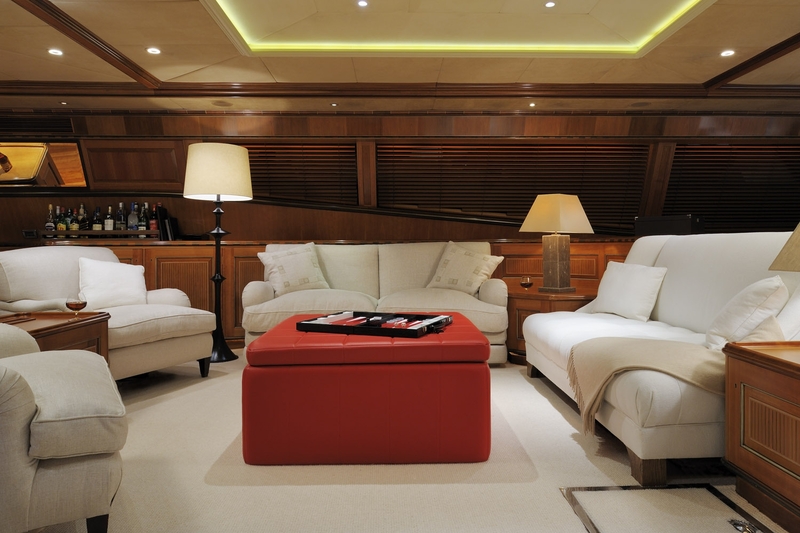 The colors, materials and furniture are designed for relaxed comfort. 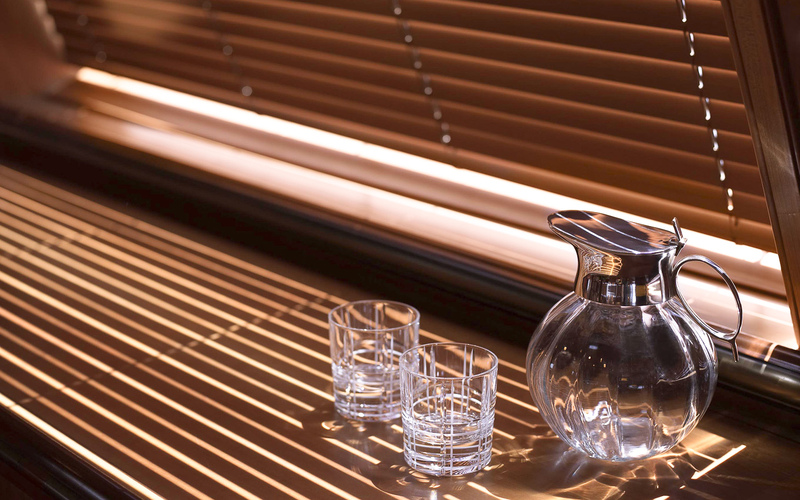 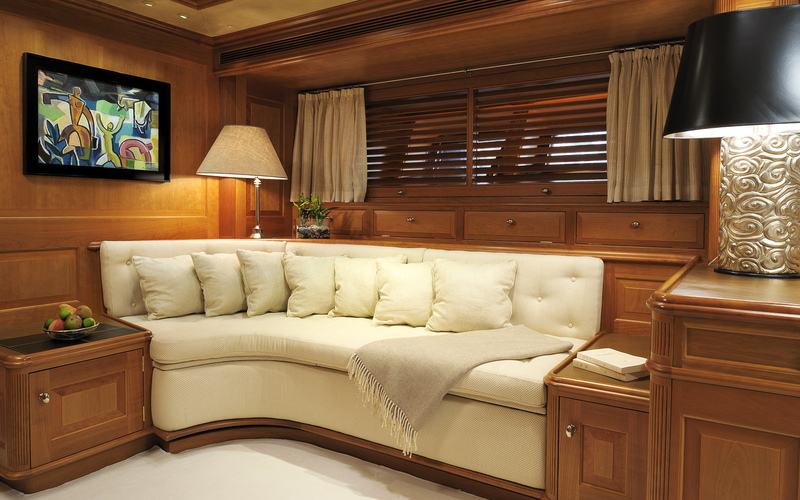 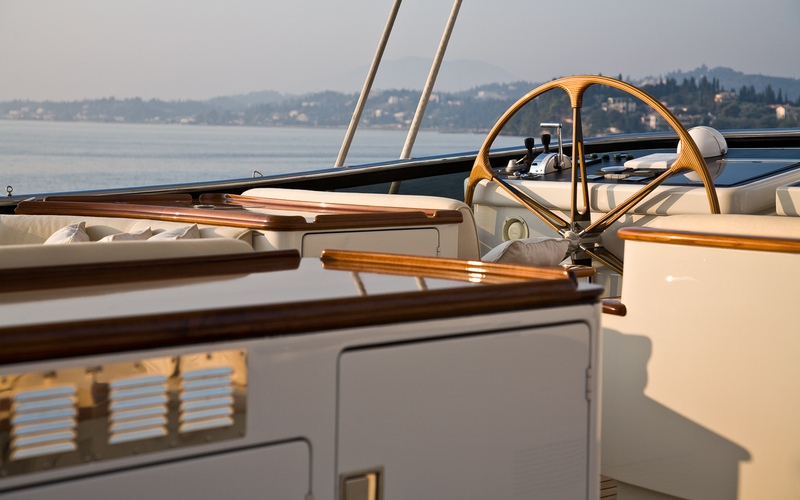 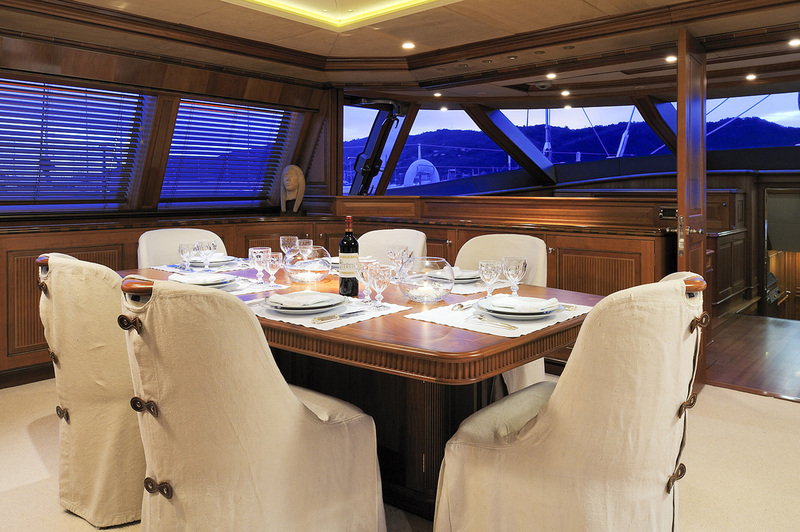 She offers the highest standard of lighting which gives the option of setting the appropriate mood throughout the yacht. 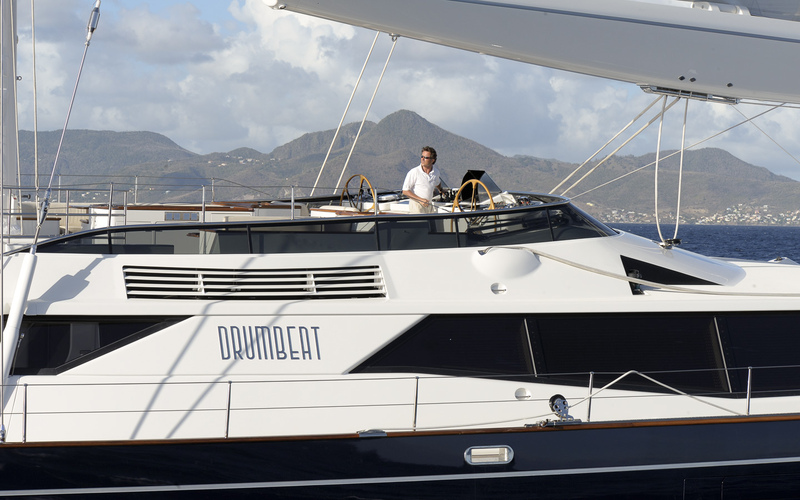 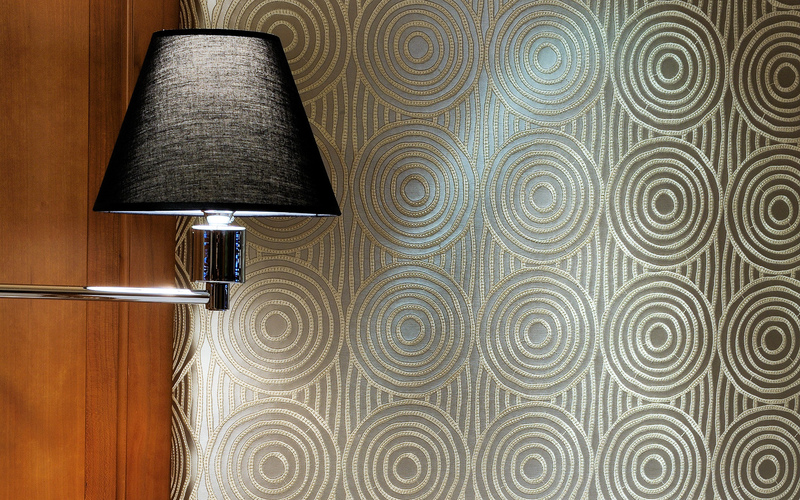 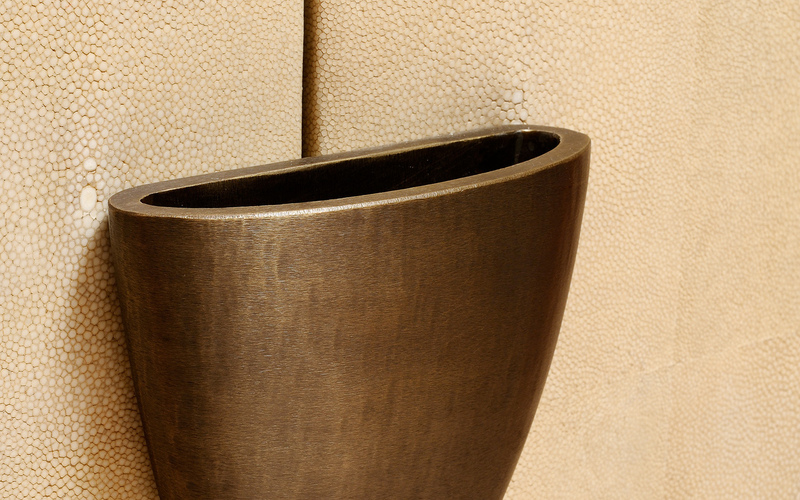 The overall feeling on Drumbeat is one of casual elegance. 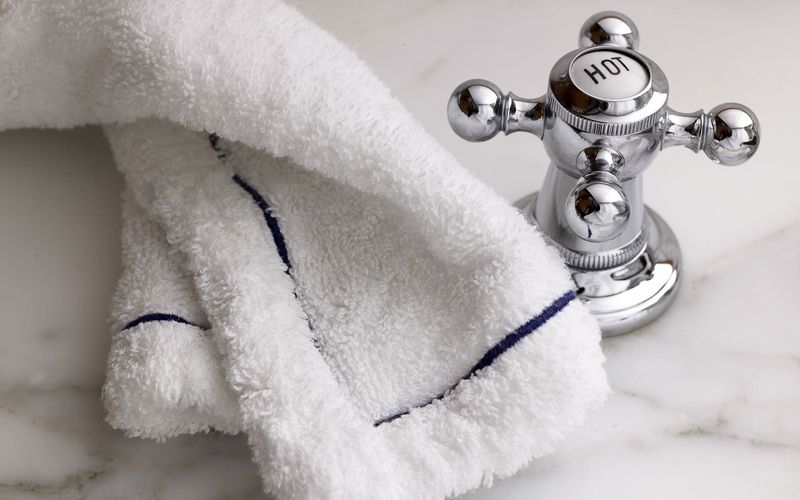 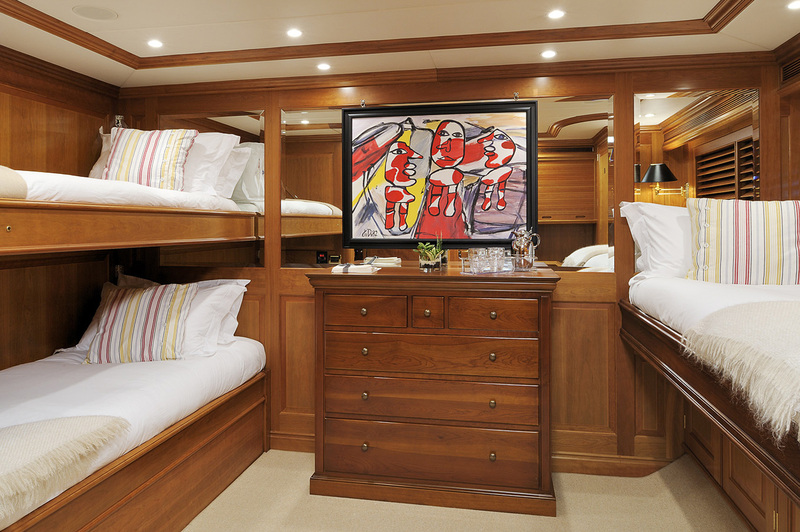 The design places a premium on good crew accommodations. 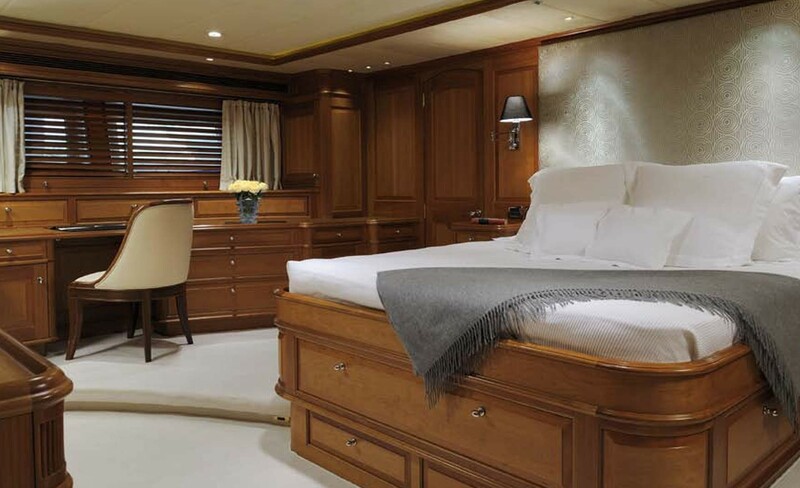 Consequently, the general arrangement had to accommodate six crew cabins all with ensuite facilities and able to sleep two people even though the yacht would carry a complement of nine. 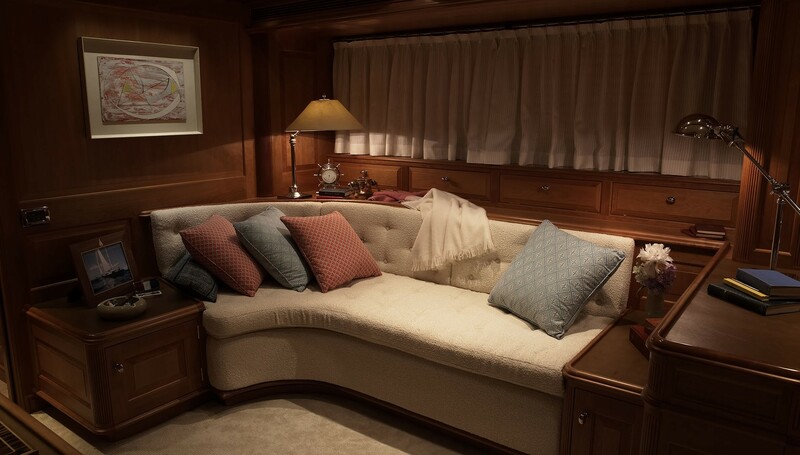 The crew mess also had to be spacious and inviting. 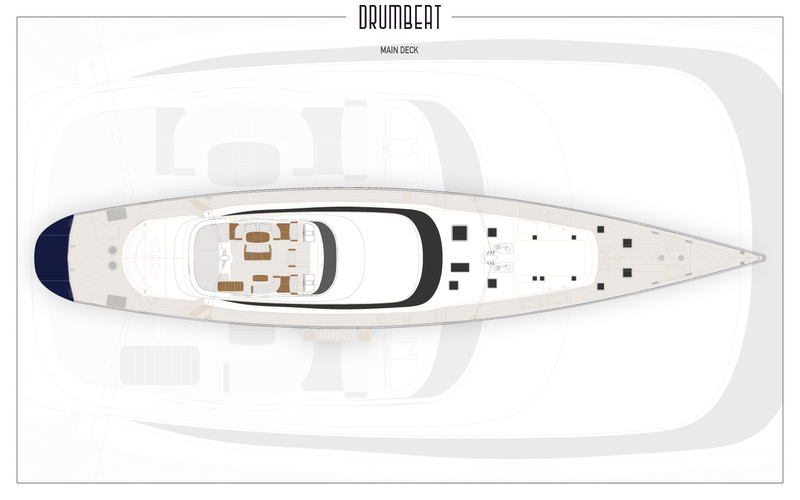 DRUMBEAT underwent a major interior re-styling in 2007/2008. 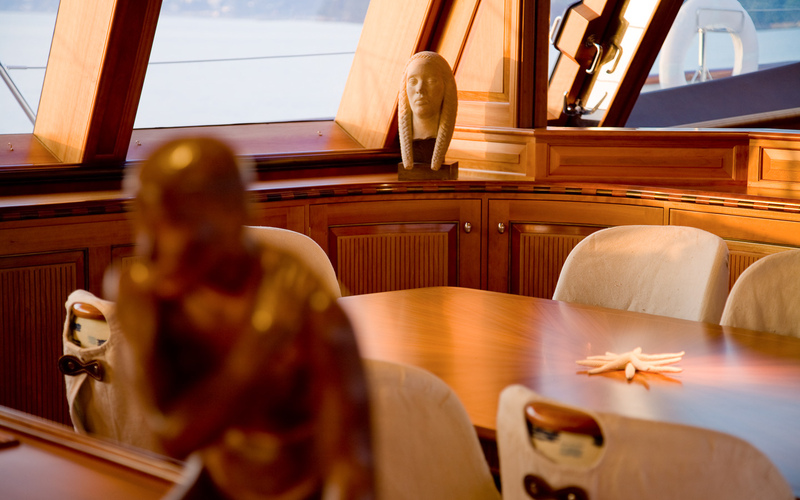 The interior was redesigned to reflect the simplicity and beauty of the lines of this stunning sailing yacht. 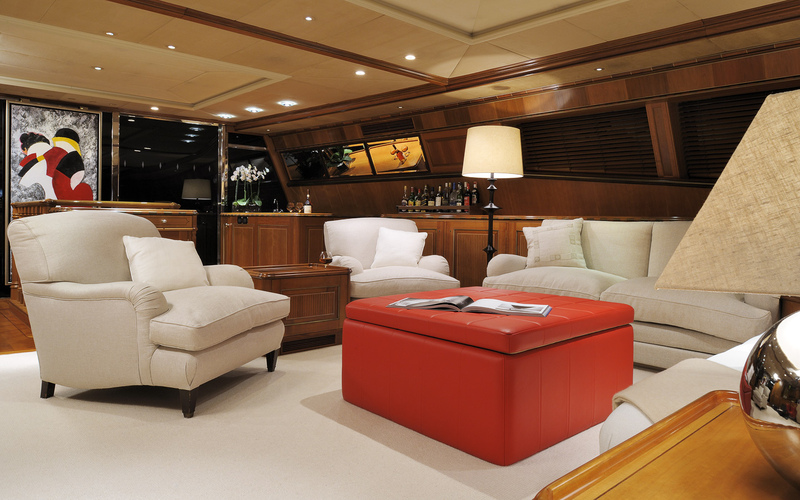 The colors, materials, and furniture are designed for comfort. 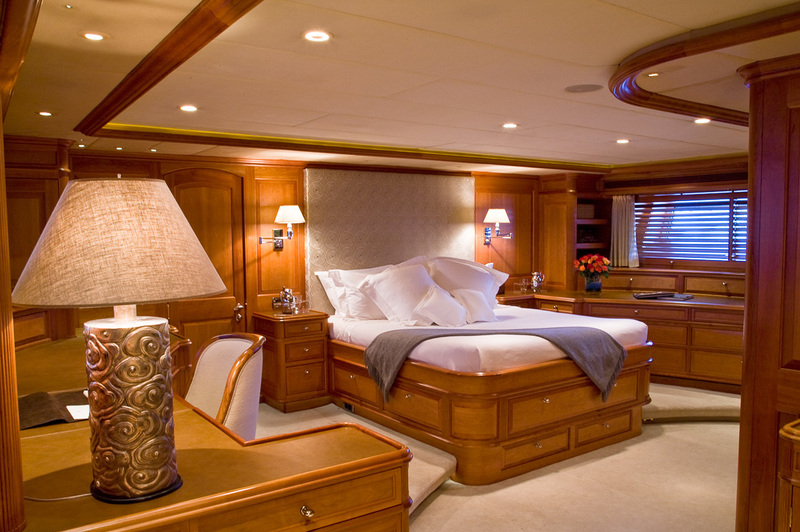 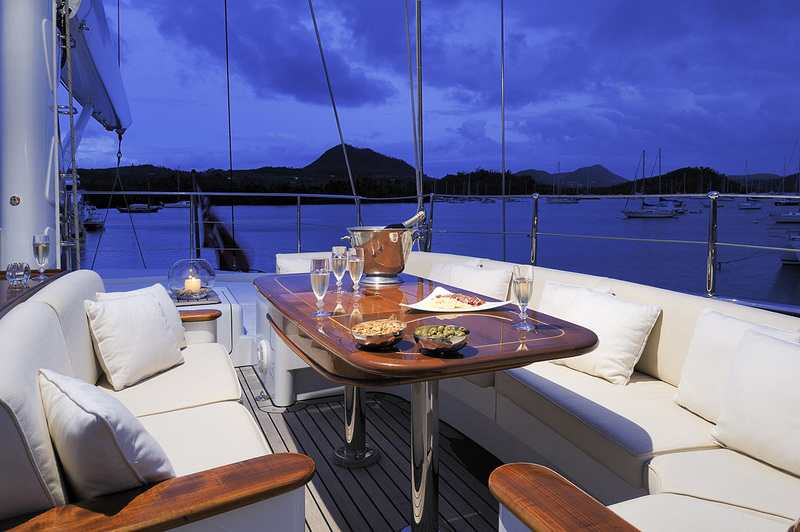 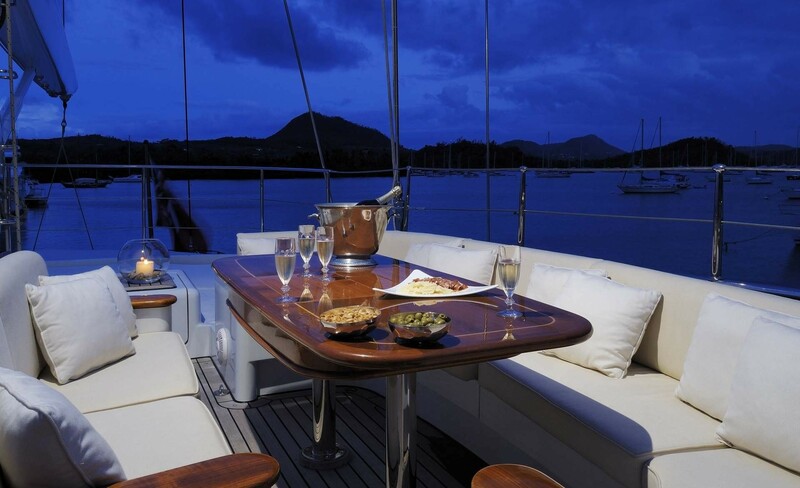 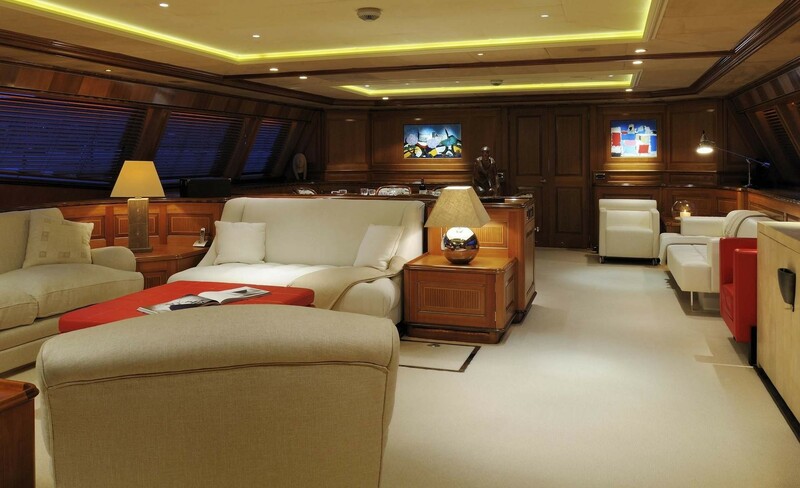 Lighting is of the highest standard giving the option of setting the appropriate mood to the saloon and throughout the yacht. 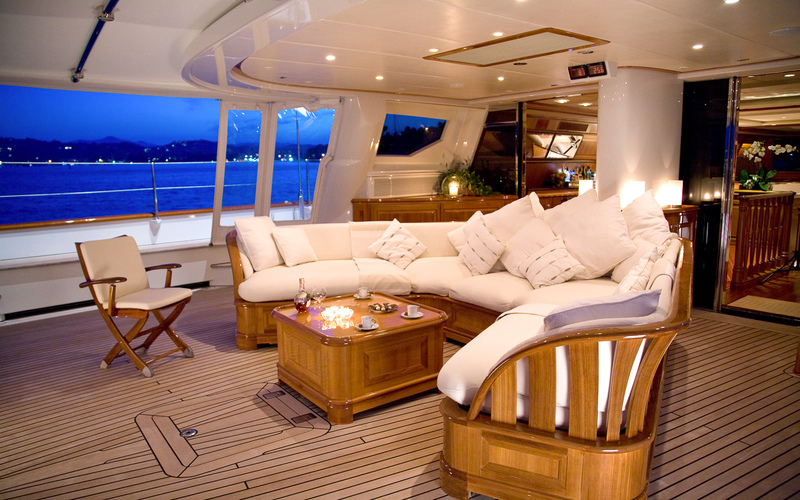 The overall feeling is one of casual elegance. 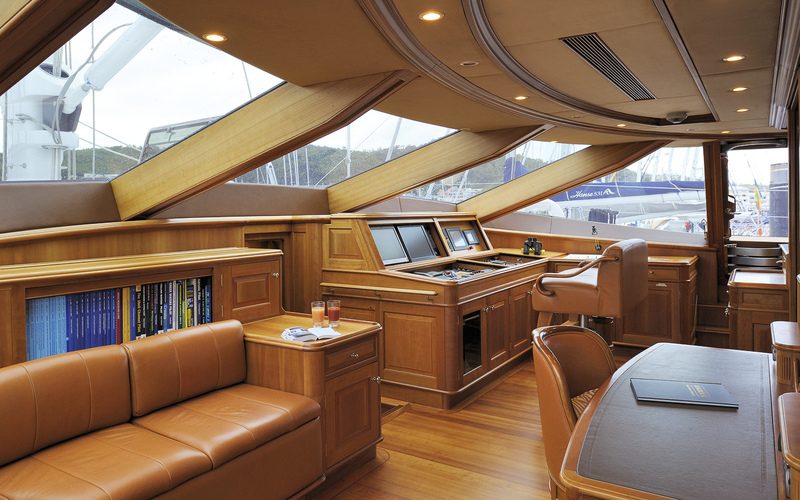 Full refit details: Major interior refit Oct 2004 - Jan 2005 Major interior refit, new generators and new spinnaker in September and October 2007. 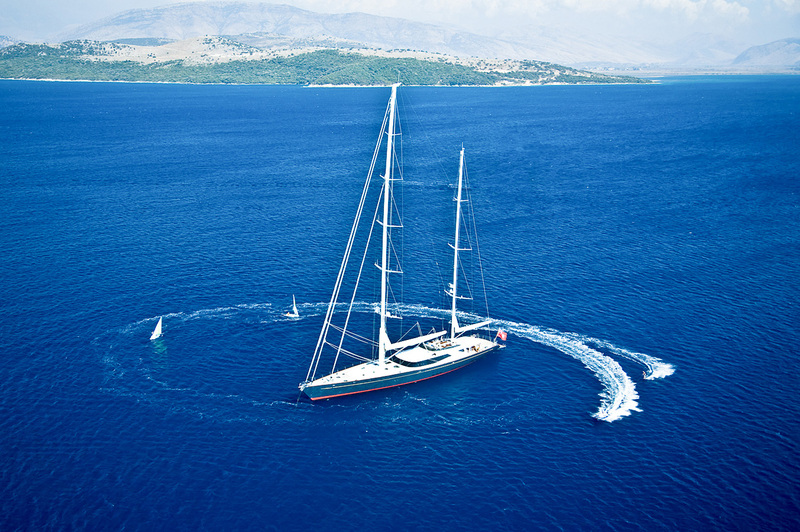 Major refits in 2008 and 2009: Engines and Generators have been replaced. 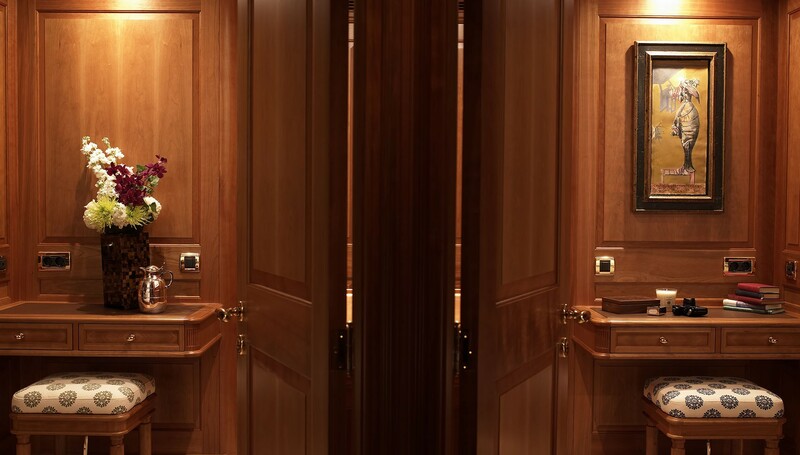 Interior: New carpets in cabins, corridors, and saloon. 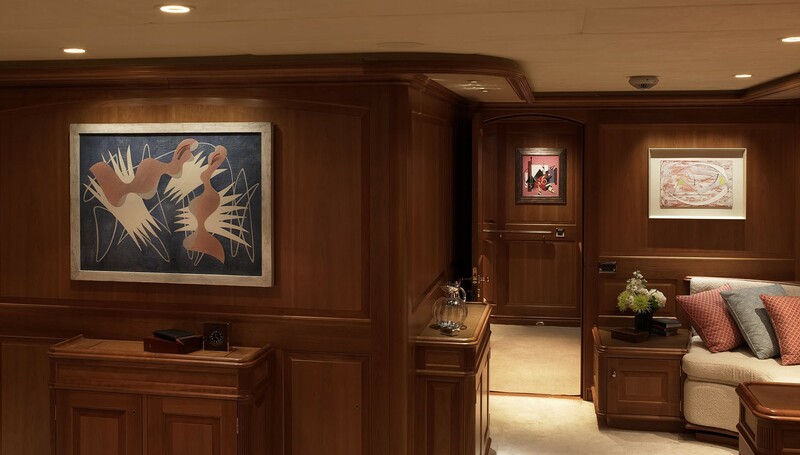 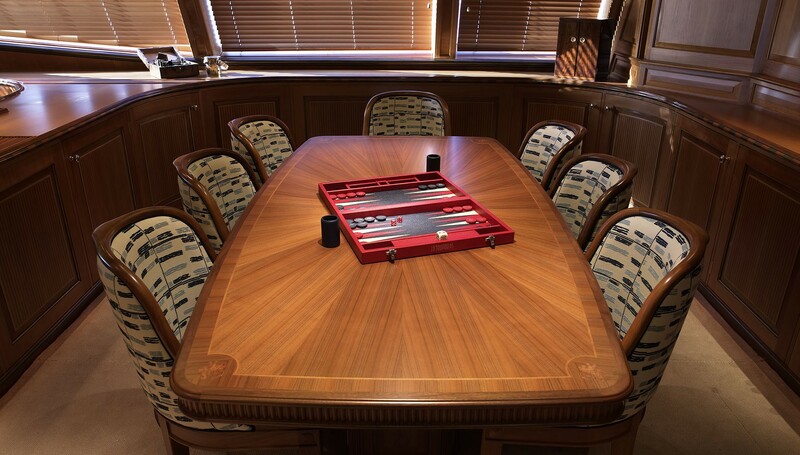 Replacement of several original works of art, revision of Bose audio system, all precious woods were re-varnished. 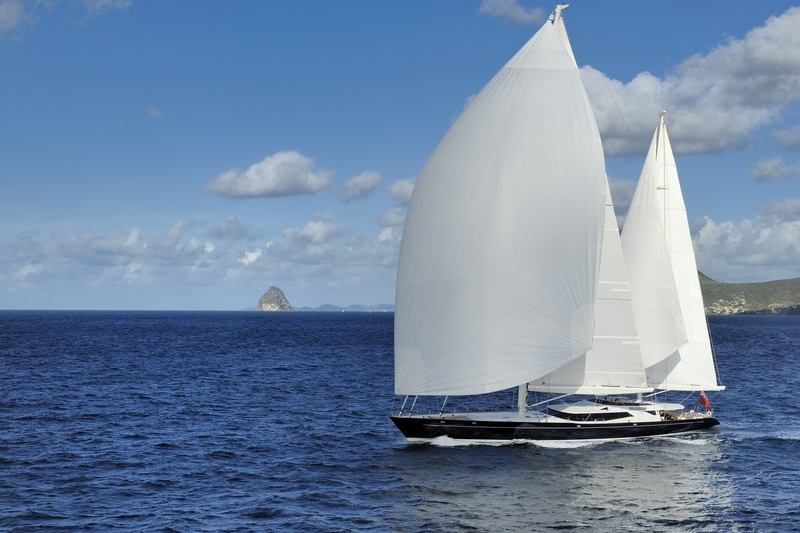 Communication: installation of Fleet Broadband 500 with worldwide coverage. 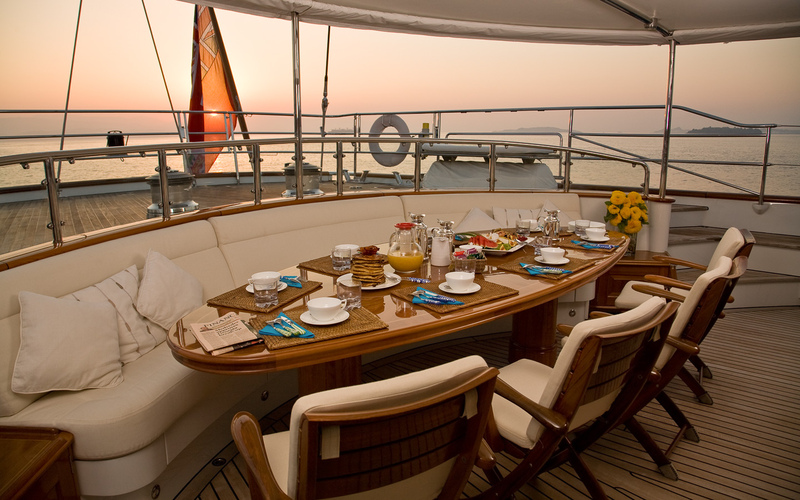 Wifi telephone and internet. 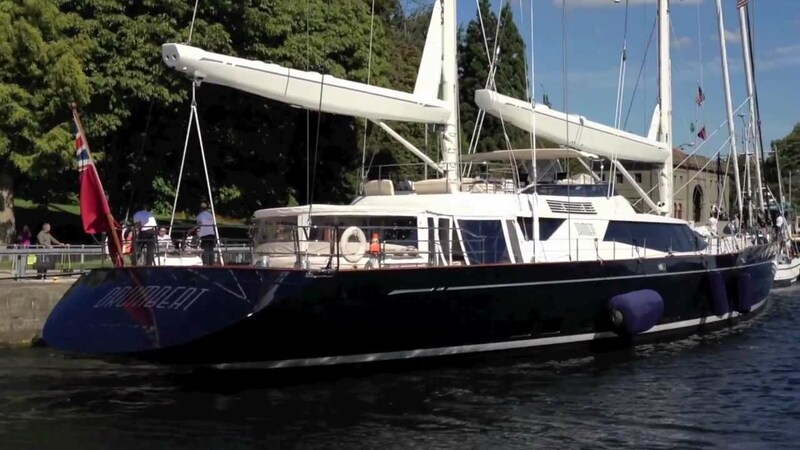 Exterior: New bimini installed on the aft deck, all sails have been replaced (including a new MPS), hull, masts, and superstructure have been repainted. 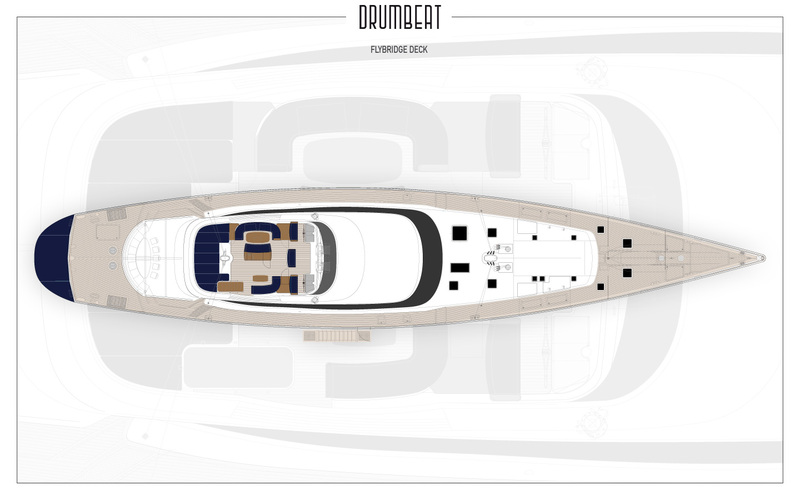 Drumbeats's (ex Salperton) layout has the main cockpit, saloon, formal dining area and pilothouse on the same level. 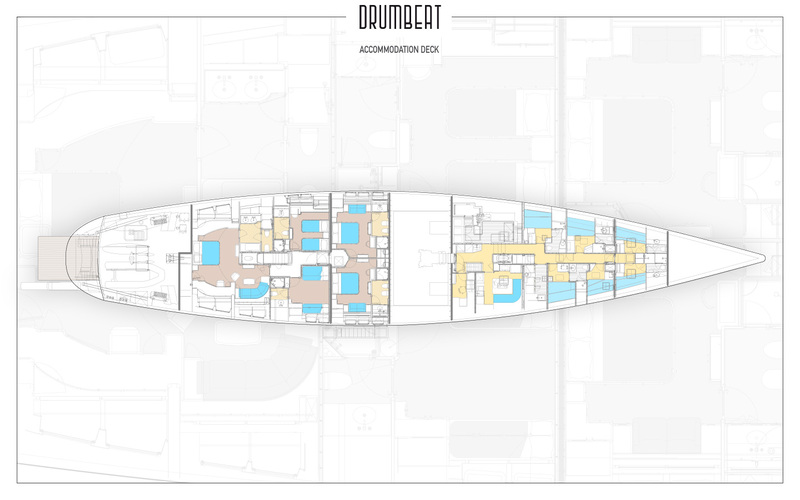 This space plan is quite unique on a sailing yacht. 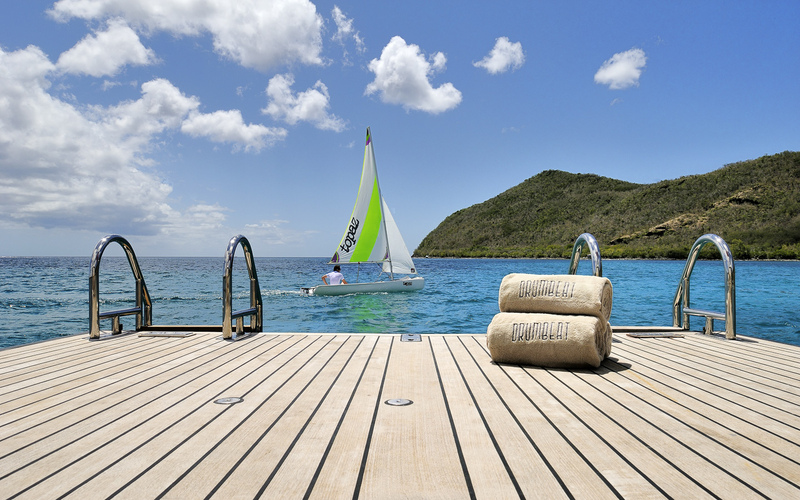 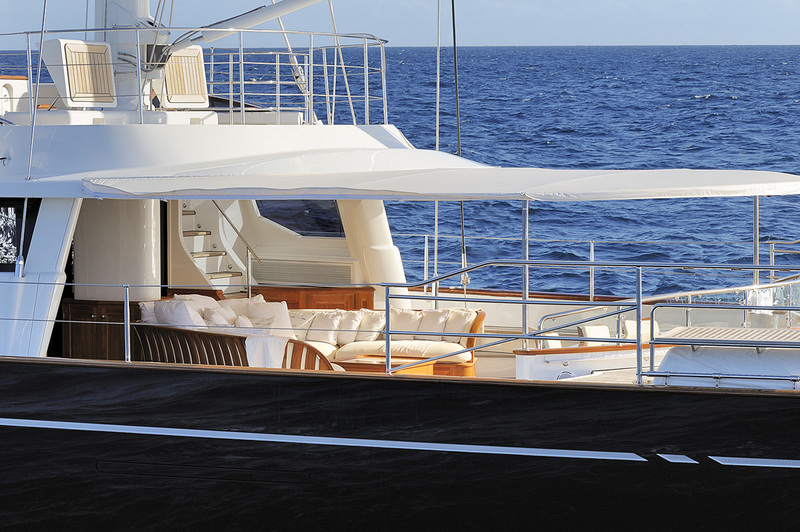 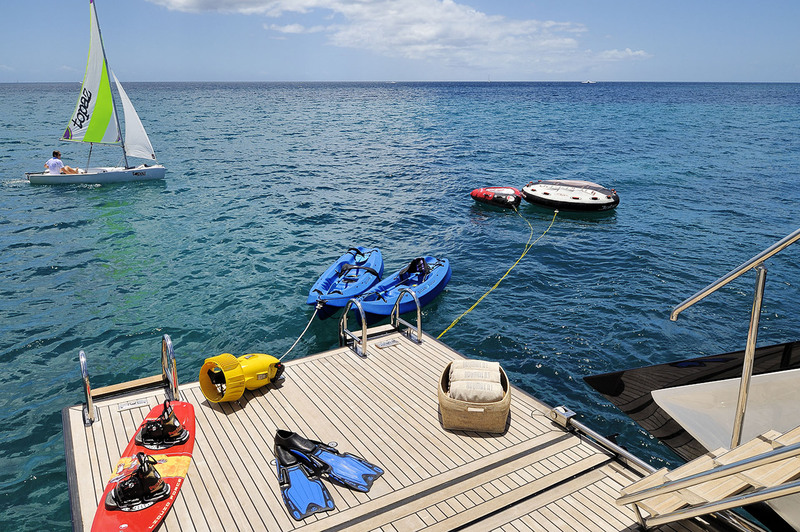 The yacht features visibility and straight sight lines which give a feeling of space and light as well as direct but sheltered visual contact with the sea in all areas. 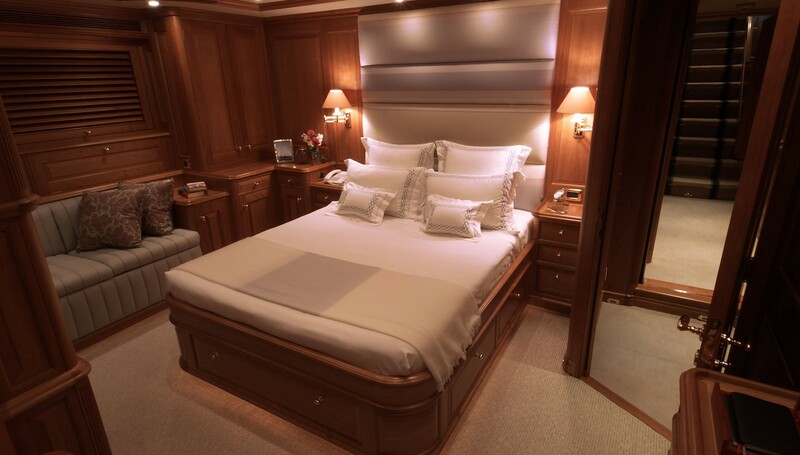 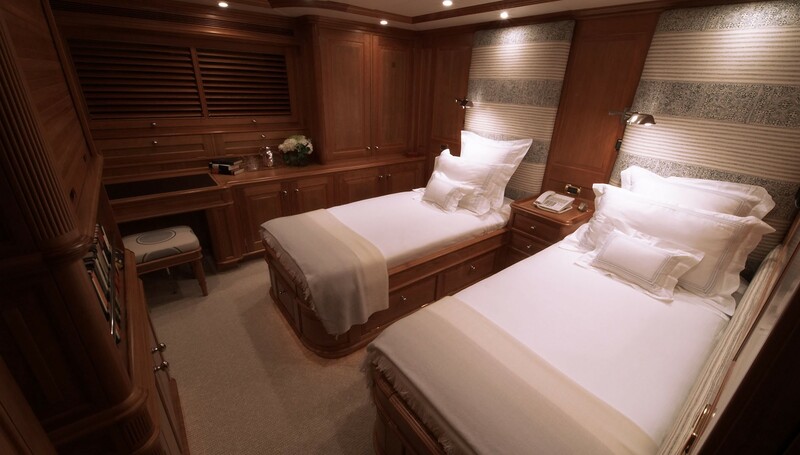 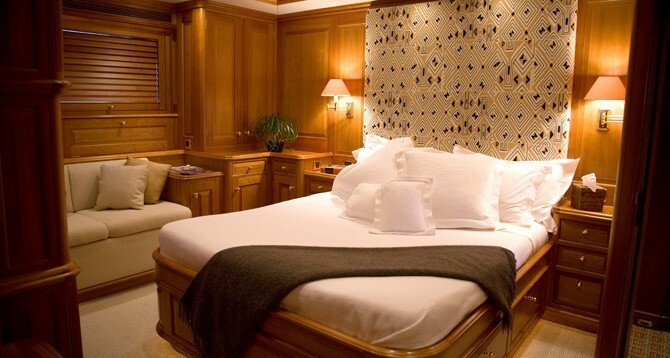 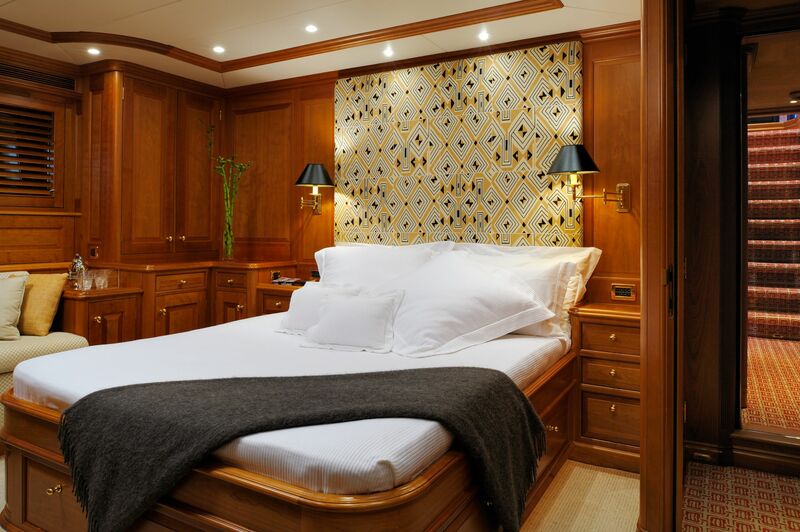 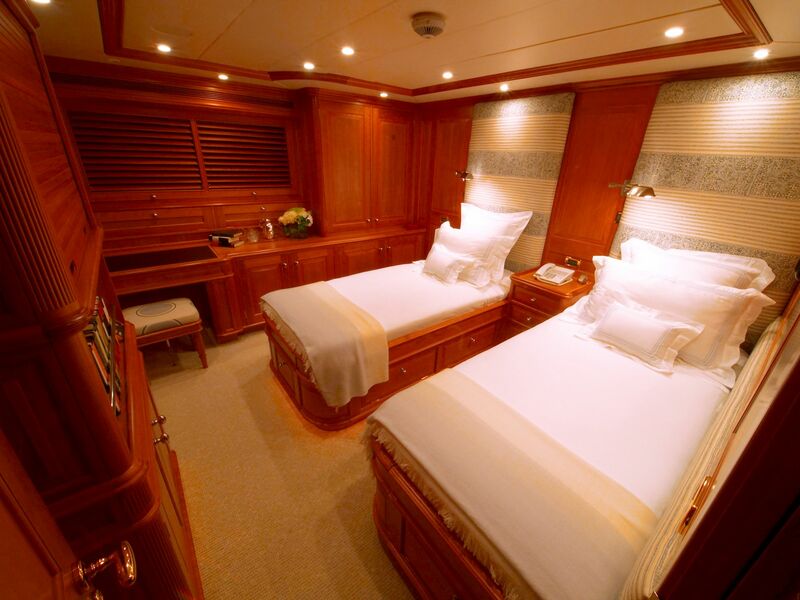 Each of her five magnificent guest staterooms has generous natural light. 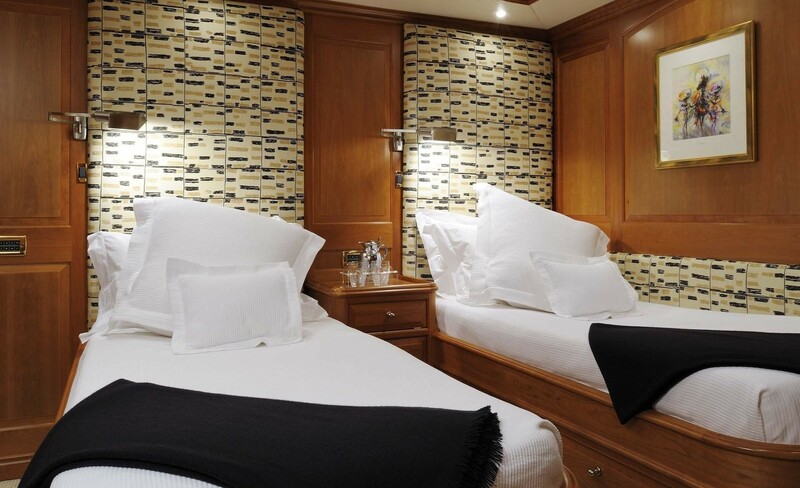 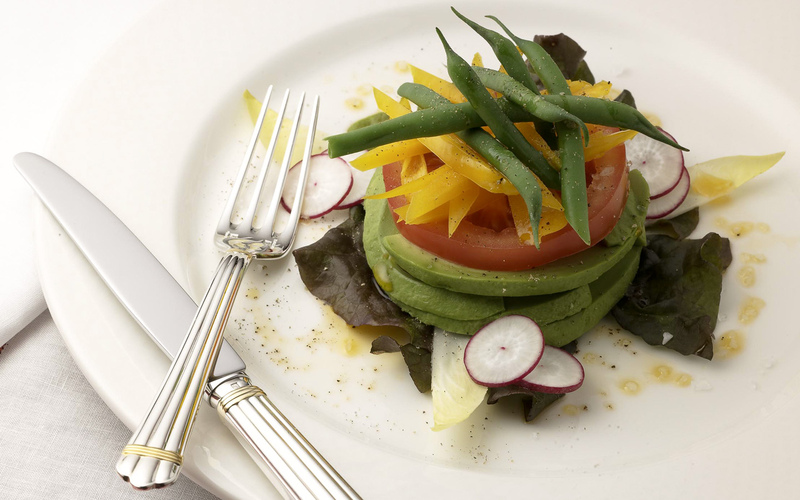 Guest accommodation includes the owner’s suite, three double guest cabins and a twin cabin with an additional pullman berth. 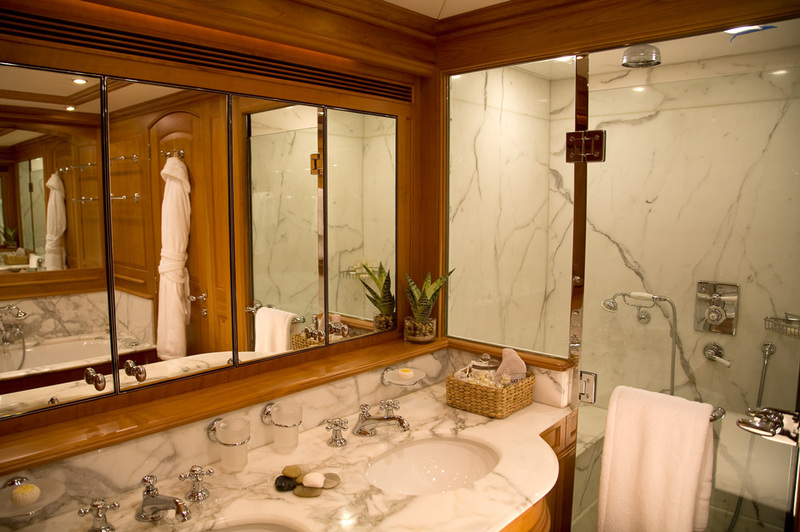 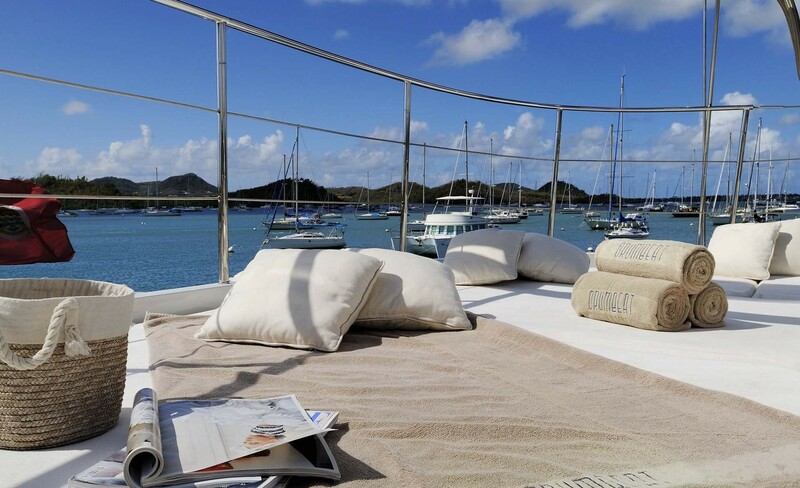 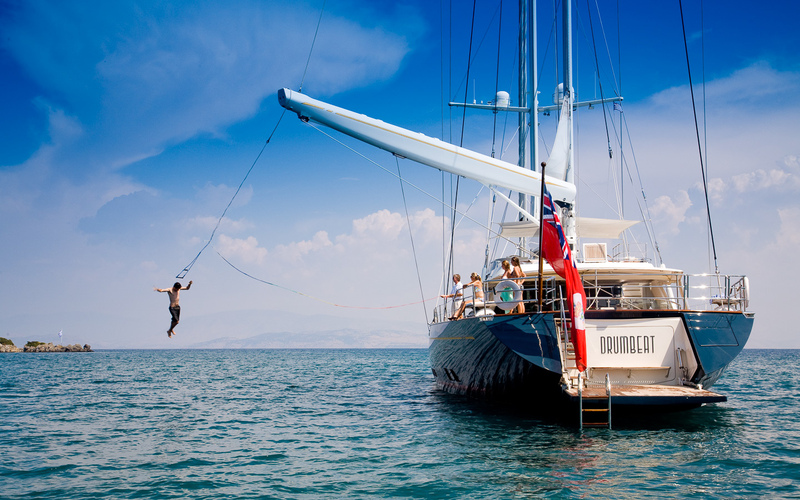 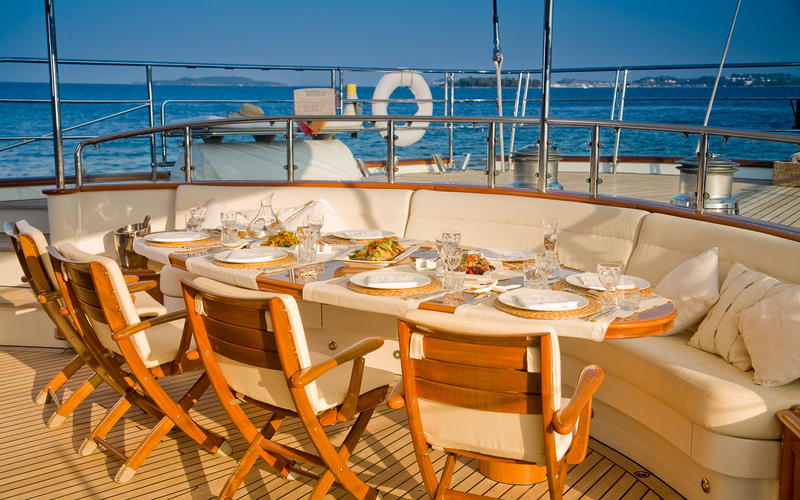 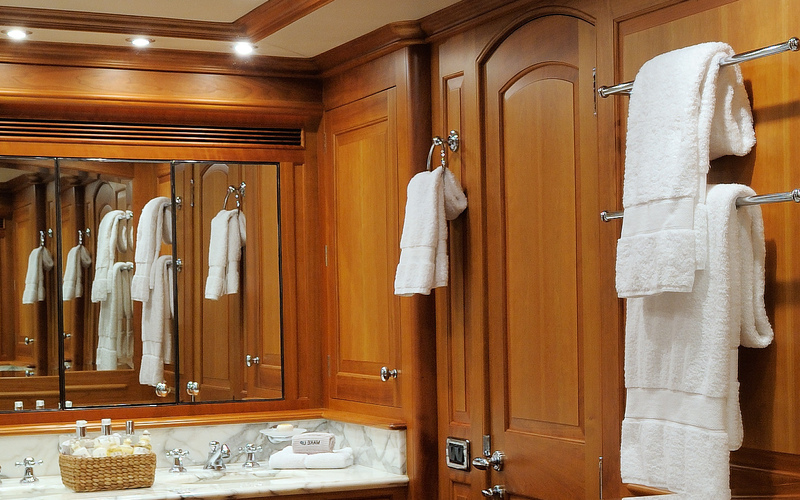 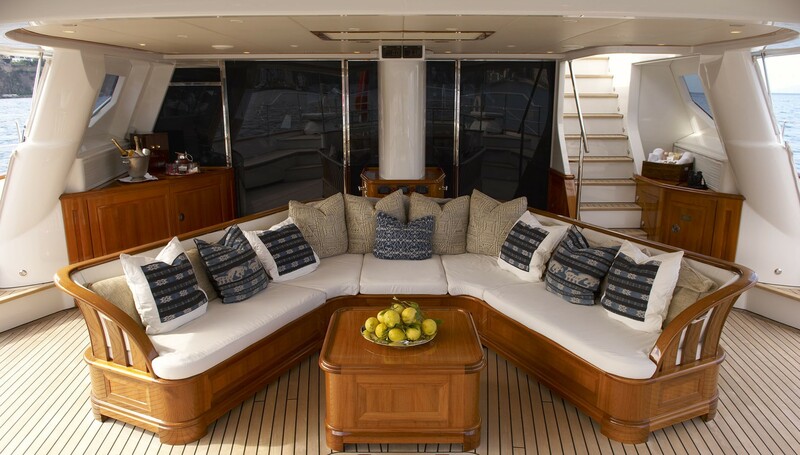 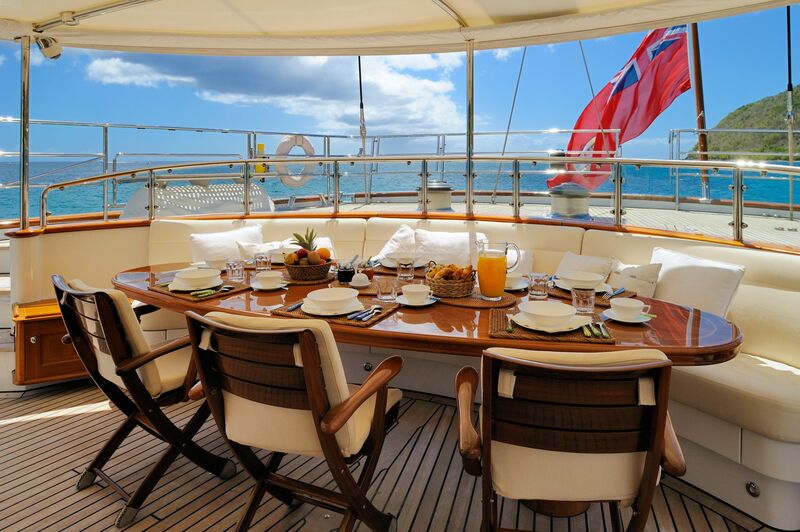 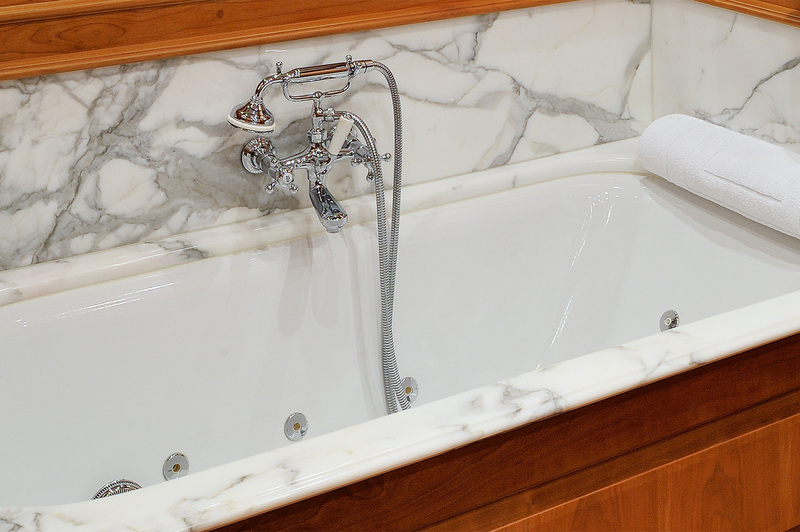 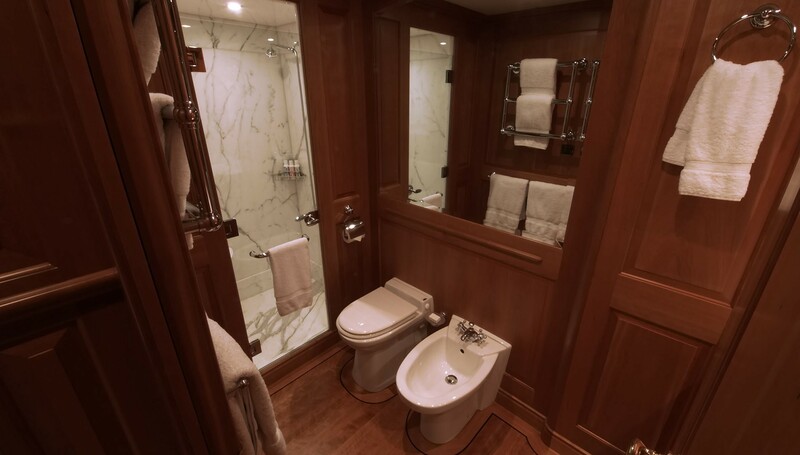 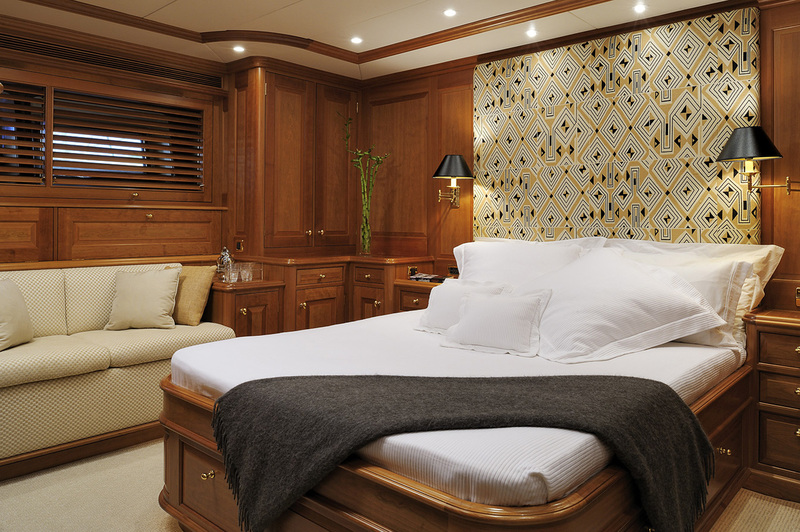 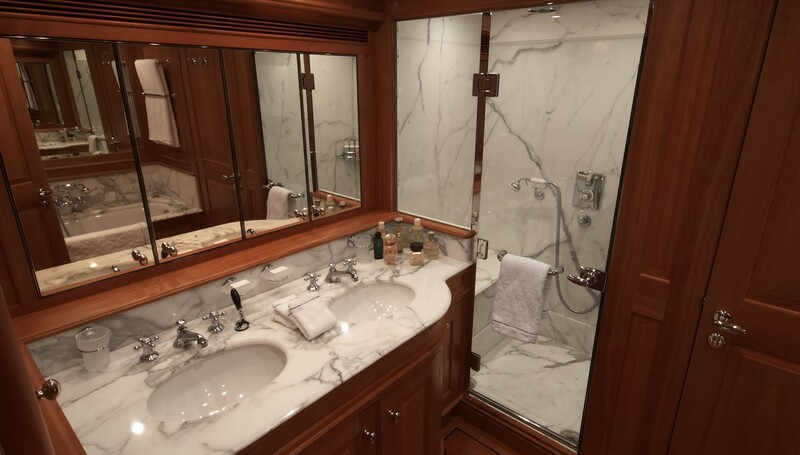 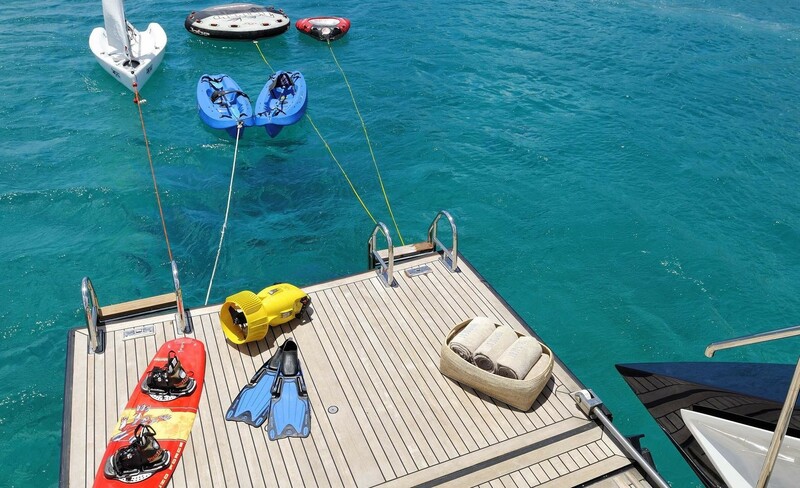 Drumbeat has six crew cabins, all ensuite, giving comfortable accommodation for her crew.